Many people wonder whether choosing hospice care means that they are giving up hope. They may be concerned that choosing comfort care means choosing death. What's the truth? Clear up misconceptions about hospice care with this review of its goals and benefits. Find out if hospice care is the right choice for you or your loved one. People who choose hospice care are not giving up hope; they are in fact redefining it. Although there may no longer be a possibility of curing their illness, they redirect their hope into mending and restoring relationships, spending quality time with those they love and finding peace and comfort. Some people may turn to their religious faith at this time, settle financial affairs or other parts of their lives that they don't want to leave unfinished. Most patients spend about three weeks in hospice, but it would benefit them to spend more time getting their needs met during the final chapter of their lives. Choosing hospice care doesn't mean choosing death, it means choosing to live life to the fullest. Usually, once someone has chosen hospice, they have been through a lot already. Multiple hospital admissions, chemotherapy and radiation, and invasive tests and treatments can leave patients feeling sick and tired. That said, hospice care isn't just for cancer patients. In fact, about half of hospice patients do not have cancer but chronic medical conditions such as dementia, heart disease, liver disease, kidney disease, or lung disease. By choosing hospice, patients with and without cancer have decided to focus on the quality of their lives rather than on how long they can keep living, especially if living longer means living with stress and without time to engage in the activities that really matter. With this view in mind, it's clear that choosing hospice is about choosing quality over quantity. Healthcare professionals have seen many patients who've chosen hospice use their time, once consumed by doctors appointments and hospital stays, to take family vacations, travel to places they've always wanted to see and enjoy the company of loved ones at home. These aren't patients who have given up hope or given up on life. These are patients who are living life to the fullest. Moreover, hospice care may prevent dying people from living their last days in agony. In hospice care, they have access to health care professionals with expertise in pain management and the care and medications that can alleviate discomfort. 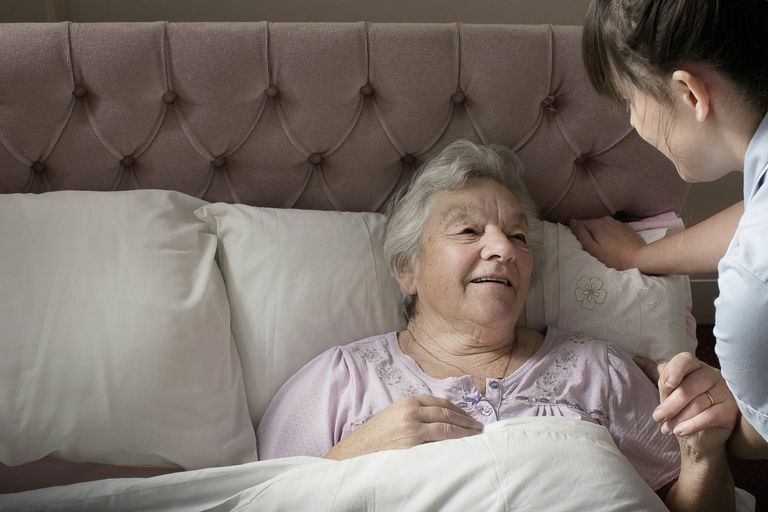 In hospice care, dying patients also have access to individuals with expertise in emotional, social and spiritual support such as social workers and chaplains. Ultimately, only you can decide when and where to spend your last days. Do you want to spend this final chapter going to doctor's appointments or at the hospital, or do you want to spend it living life as you've never lived it before? While choosing hospice care certainly means that you've accepted that further medical treatment almost certainly won't help you, it does not have to mean giving up hope.